When you purchase or lease a new Mercedes-Benz vehicle from Mercedes-Benz of Greenwich, or any other Mercedes-Benz dealer in the US, it comes complete with our New Vehicle Limited Warranty. This means your vehicle is covered in the event of defects in material or workmanship for 48-months or 50,000 miles, whichever comes first. If you’re purchasing a Pre-Owned Mercedes-Benz from Mercedes-Benz of Greenwich, you too will drive away with peace of mind because every Certified Pre-Owned Mercedes-Benz is backed by our comprehensive Pre-Owned Vehicle Limited Warranty. To help ensure you’re getting the most out of your vehicle, it is highly recommended that you bring your vehicle to an authorized Mercedes-Benz Dealership, such as Mercedes-Benz of Greenwich, for all your service and repair needs. That way, you know that you’re covered and there’s no stress or guesswork involved. Plus, our technicians know your vehicle better than anyone and they use only Genuine Mercedes-Benz Parts designed to fit your vehicle perfectly. If you have any questions about the Mercedes-Benz Warranty, please feel free to get in touch! we look forward to helping you find the right luxury car for your New Canaan commute. Ready to visit? We’re located conveniently near Stamford, and our experienced staff can walk you through the Mercedes-Benz Extended Warranty cost and details! *Surcharge may apply if coverage is purchased 30 days after retail delivery, except in Florida, Wisconsin, and Puerto Rico. 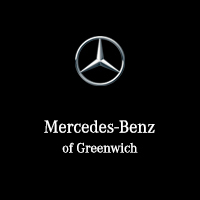 Contact Mercedes-Benz of Greenwich for more details.